For maximum control and performance. Hot Chillys' Classic Low Volume socks maximize feel and comfort so you get the most from your efforts. For maximum control and performance. 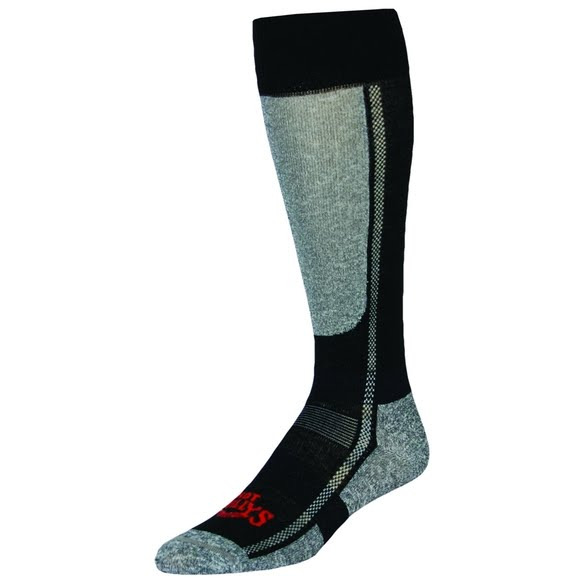 Hot Chillys &apos; Classic Low Volume socks maximize feel and comfort so you get the most from your efforts. MTF (Moisture Transfer Fiber ) channels run along the outside of the sock to push the moist air away from the skin. Bio-Silver , silver based antimicrobial knitted into fibers. Anatomically designed toe, arch and heel. MTF (Moisture Transfer Fibers) is made up of synthetic fibers that help wick moisture away from the skin to the outside of the garment where it can evaporate. Non-abrasive, soft feeling yarns with permanent silver based anti-microbial properties. For high performance boots when total edge control is demanded. Designed for both boot fit and performance.